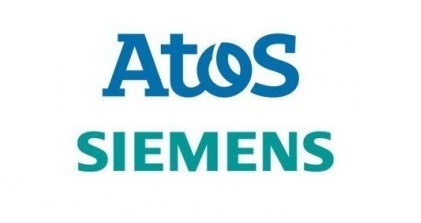 Within the framework of their strategic digital alliance since 2011, Siemens and Atos cooperate in the field of cyber security for industrial companies. Together, they provide customers in the manufacturing and processing industries with comprehensive security services and products for production and office IT. The offer ranges from security assessments and the installation of protective mechanisms, such as firewalls, through to the continuous monitoring of plants and offices. These services help industrial companies to keep up with continuously changing threats to their security and to safeguard the productivity of their enterprises. The increased networking of industrial infrastructures ("Industrial Internet of Things" or "Industrie 4.0" as it is known in Germany) and production and office IT make adequate protective measures essential. Peter Weckesser, COO of the Siemens Product Lifecycle Management Business Unit, explained, "Siemens offers a comprehensive range of solutions, products and services for industrial security. Our cooperation with Atos now enables us to support our customers from the automation to the office level, and to reduce security risks. This gives us an important foundation for the digitization of industry." Pierre Barnabé, COO Big Data and Security, from Atos, said, "The digital transformation requires holistic security concepts. Siemens and Atos invest and complement each other optimally because of their respective competence in production IT and office IT." The cooperation provides industrial companies with integrated solutions for production and office IT in four phases: assess security, implement security, manage security and certify security. In the "assess security" phase, both Siemens and Atos conduct assessments to determine the actual situation in a company. The results form the basis for protective measures, jointly proposed by Siemens and Atos as an integral implementation plan, including such elements as the installation of firewalls and virus protection programs, with which the security level can be raised even further. To manage security, Siemens and Atos will also support customers with a range of proactive services to successfully counteract ever-changing cyber threats. These include, for example, the continuous monitoring of plants and offices. Finally, both partners will support industrial companies with their certification in the certify security phase.